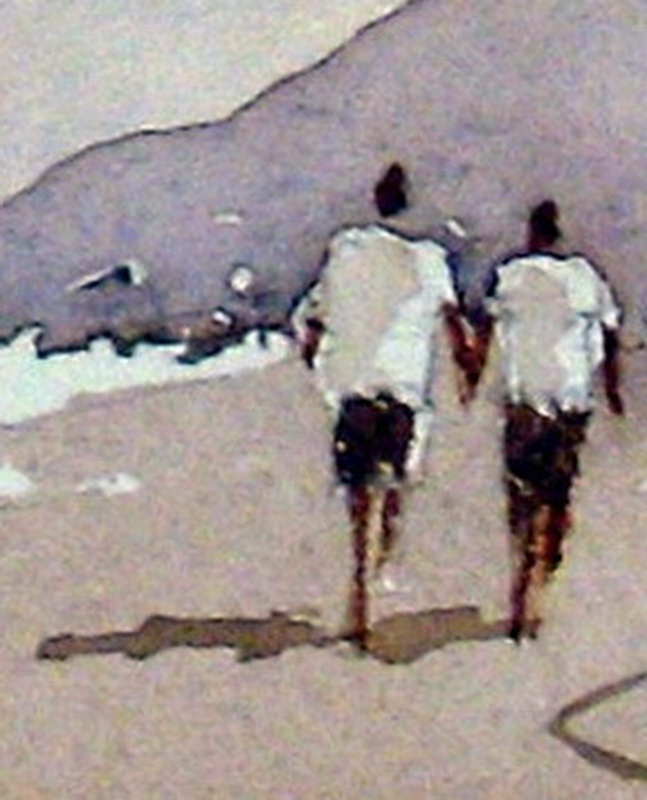 Steps to follow for watercolor painting. 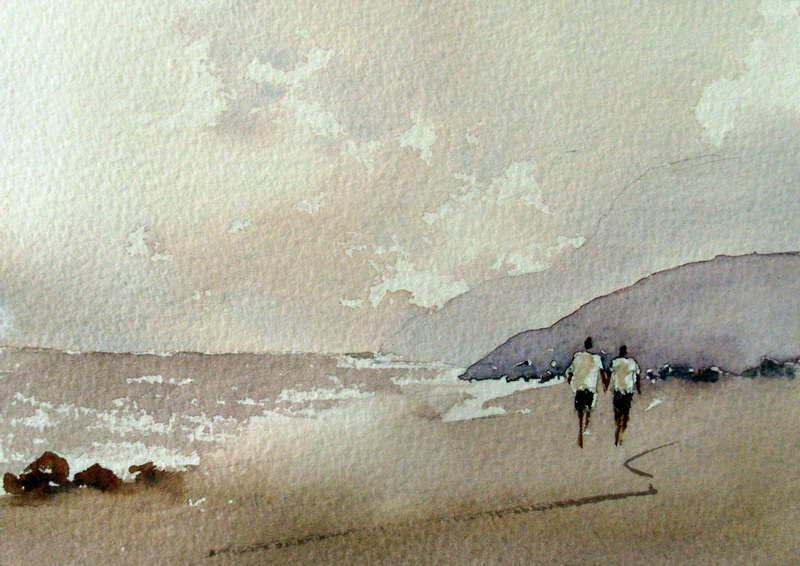 Some students only attend watercolor classes or workshops. They rarely produce artwork at home or in their studio. I am always encouraging my students to try and paint as much as possible at home. In addition to attending my watercolor classes. I did this because I noticed that those that did so progressed much faster than students who just attended classes. Recently I realised the main reason why these students progressed at their faster rate. It has all to do with developing their observation skills versus memory skills. Let’s look briefly at the pros and cons of watercolor classes. 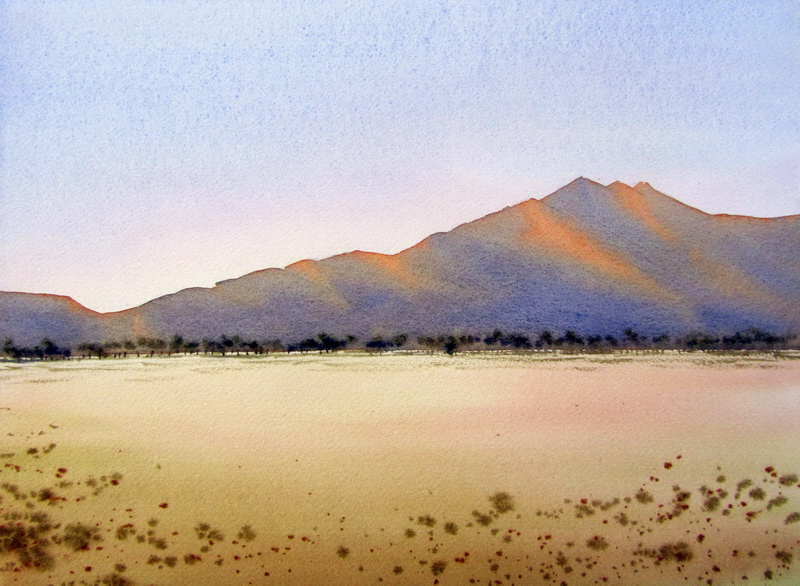 If you attend a class or watercolor workshop you will achieve a number of things. Firstly there is the camaraderie of working with other students. Secondly you learn watercolor techniques from your teacher who can also critique your artwork. Thirdly, regular classes keep you moving along with your watercolor painting when you might otherwise be tempted to give up. One of the paintings I have my students produce in my watercolor classes. 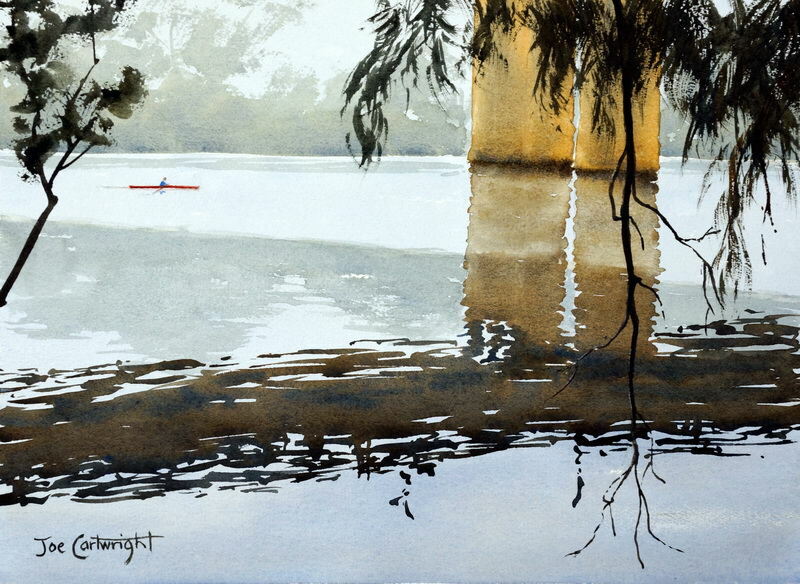 However observation skills can suffer when you attend a watercolor class or workshop. This is because students concentrate more on trying to remember everything their teacher is saying, rather than observing what is happening with their own work. 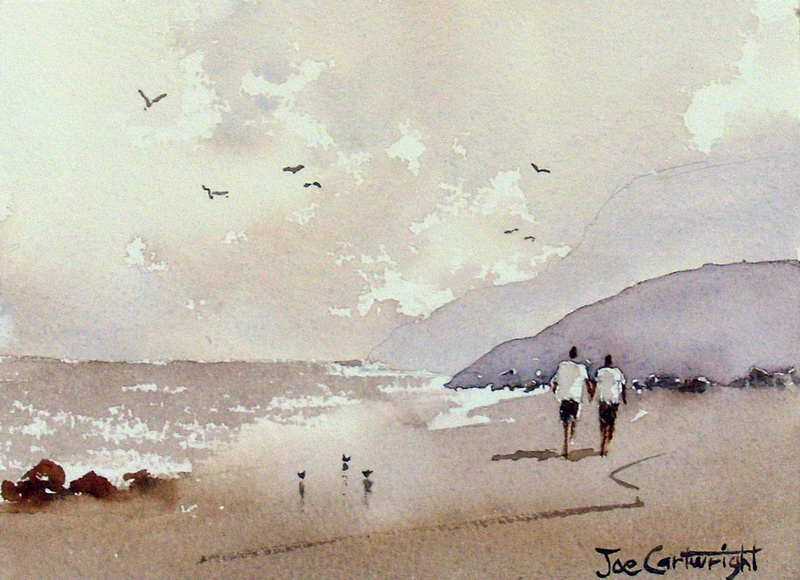 Your teacher may show you a step in a watercolor painting which you are expected to follow. When you go back to your easel your first thought is usually to try and remember what you have just been shown. Instead of you thinking through the steps you need to take to complete your watercolor painting you spend your time trying to “remember” what you were told. 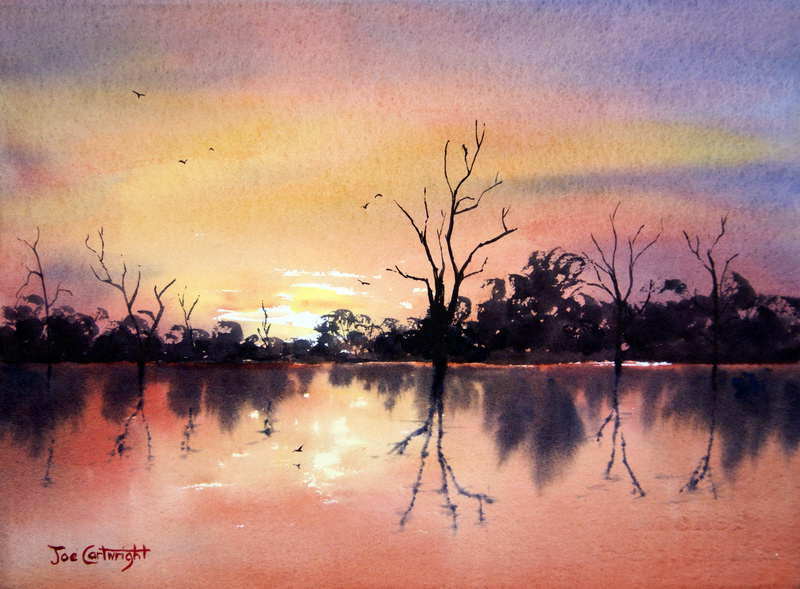 To progress with your watercolor painting what you need is the ability to think through the steps for yourself. You also need to observe the affects you create with your watercolor paints. 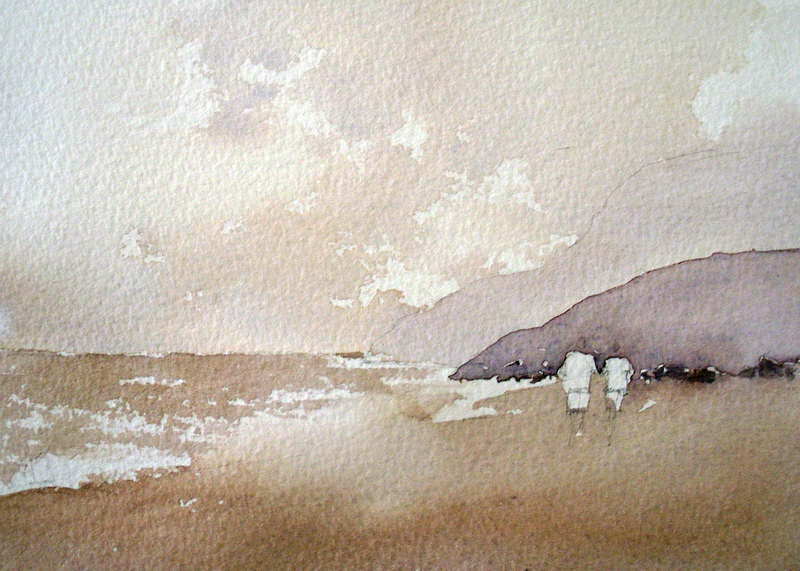 Observation is critical to improving your watercolor painting techniques. Furthermore there can be plenty of distractions in a watercolor class. Other students talking, your tutor or other students looking over your shoulder as you paint. Concerns about what others might think about your painting. Cramped space, poor or different lighting, etc. All of these things can hinder you ability to observe. When you are painting at home, you are forced to think through your own steps to complete your watercolor artwork. You are also more likely to observe what is happening on your paper than in the classroom. It is much more important for you to observe what is happening on your own watercolor painting than to sit there and just try and remember the steps someone else has given you. Furthermore, when you are working on your watercolor painting at home or in your studio you are not distracted by other people. This makes it much easier for you to concentrate and observe. It is for this reason that I have found that students that do some work at home in addition to their classes always progress the fastest with their watercolor painting skills. In summary, observation is critical for watercolor painting, probably more so than for any other medium. It is much easier to observe when you are at home in your own studio rather than with all the distractions in a class. Obviously for more experienced artists this is not such a problem, but then again an experienced watercolor artist is less likely to be attending watercolor classes or going to workshops. I hope the above is of some use to you in your watercolor painting journey. 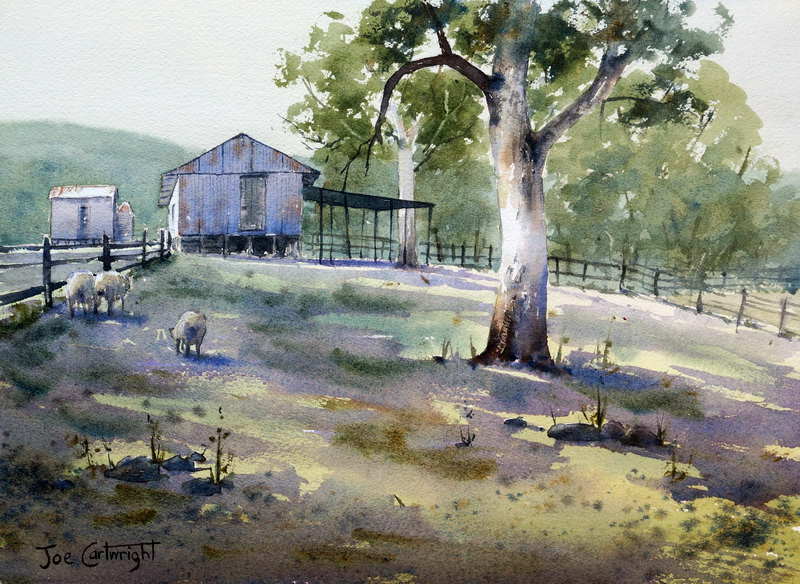 This watercolor painting of a shed with strong morning shadows was a painting I had my students do recently. The reason I selected this for the class painting was because it gave my students a chance to practice how to capture the early morning light and the shadows that result from it. 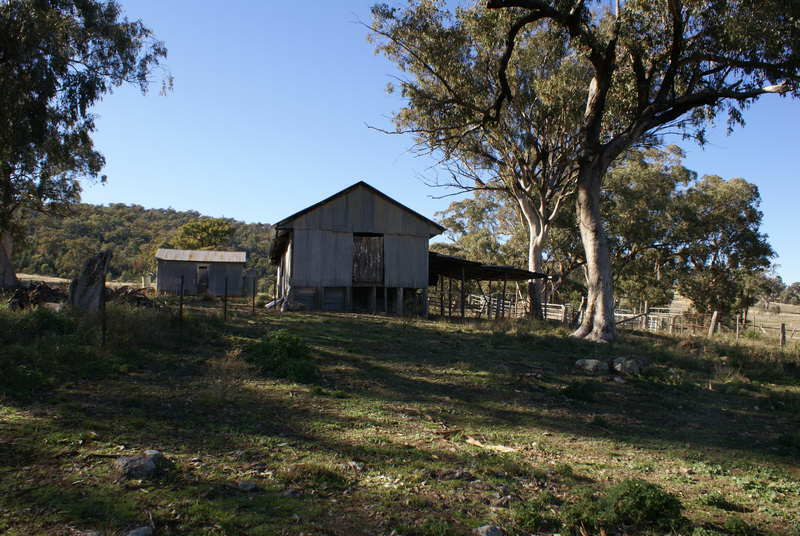 It was based on a photo I took of a friend’s old shearing shed. I had previously painted this exact scene in Pen and Ink and Brush and thought it would also work well with watercolor. I think watercolor is a wonderful medium for capturing light. The basic steps for this watercolor painting are as follows: 1. Find a suitable subject that captures your interest. 2. Decide what you want your message to be. In my case it was the beautiful shadows falling on the foreground. 3. Make any needed design decisions. 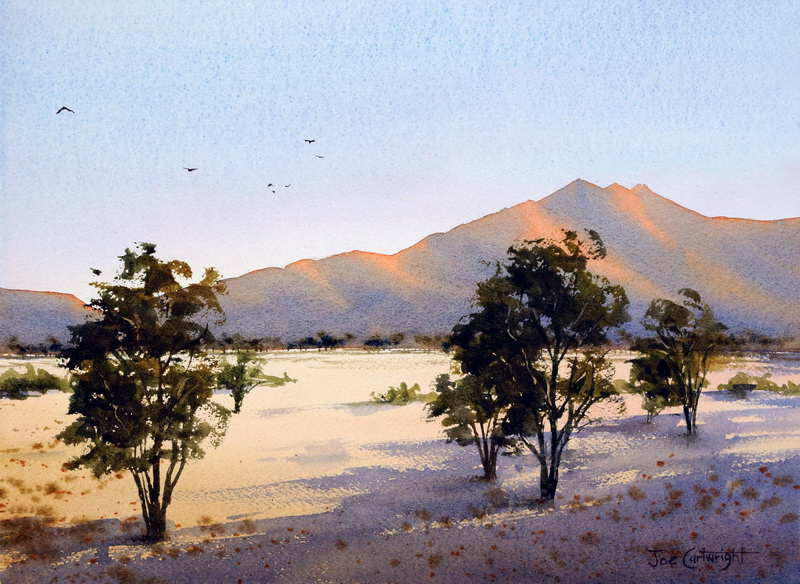 As I wanted my watercolor painting to focus on the shadows I increased the foreground area. I also decided to add some sheep as it is a painting of a shearing shed. 4. Paint the sky and ground under painting in one go. It is important to get the tones right with the lightest in the sky and those in the ground getting stronger towards the foreground. It is very important to let this stage of your watercolor painting fully dry before you continue. 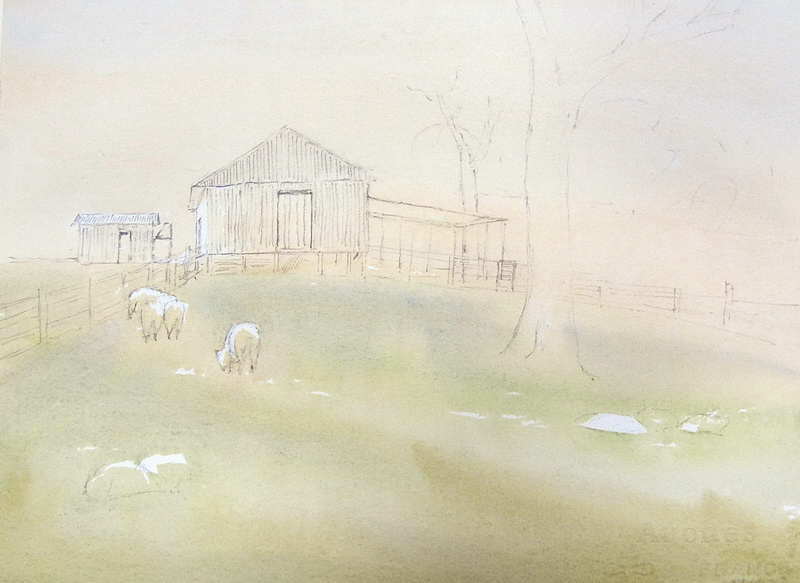 Figure 1: Under painting for watercolor landscape painting of shed and shadows. 5. Next comes the distant hills. Remember to keep them light to add depth to your painting. While these were a little wet I painted the distant foliage in the far right hand trees. I finished this foliage after the hill had dried so I could create some hard edges. 6. Next comes the main trees on the right hand side. If you are interested you can find out how to paint gum trees by reading another article on this website here: How to paint Australian eucalyptus trees. 7. When the trees are completed I then painted the sheds with a mixture of Cobalt Blue and Burnt Sienna watercolors. I used a thicker mix of French Ultramarine and Burnt Sienna for the dark areas of the main building e.g. under the roof, under the large awning on the right had side of the building, above and below the door, etc. Some dropped in Burnt Sienna gave the shed walls a look of some rust. 8. The watercolor painting is nearly finished at this stage. However before the shadows are put in I painted the rocks, sheep, and fence on the left. 9. The shadows finished the watercolor painting. For shadows I used a mix of French Ultramarine and Alizarin Crimson – this mix should lean towards the blue not the red. I also make sure I have more than enough paint to finish all the shadow areas without having to mix more. The shadow watercolor mix was applied to the building and the ground in one go. 10. The shadows are laid down very quickly and while they are wet I drop in some various dark greens. 11. Once the shadows are dry I finish my watercolor painting with the addition of some grass to help lead the eye into the painting. The above is a very brief and not complete breakdown of the steps taken for this watercolor painting. Hopefully it will be of use to my students as a review. I will try to produce a full step by step demonstration painting of it sometime. 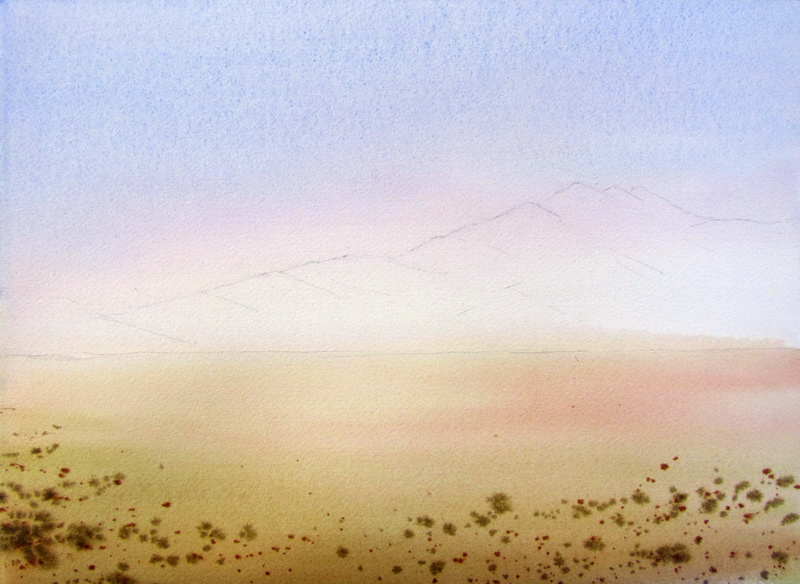 You can see a pen and ink version of this watercolor painting in my Pen, Ink, and Watercolor Wash Gallery.